GB: Where does development of Risen 2 stand at the moment? BP: We are quite far into the development already, and are just fine tuning the game and removing the last of the errors before it will be released in April. GB: Please give us a quick overview of the sequel's character creation process, as well as what sort of progression options will be at our disposal as we level up. What differences will there be from what we saw in the first Risen? BP: This time, the player will become a pirate and learn a pirate's skills, such as fighting with a cutlass and using dirty tricks, e.g. throwing sand in someone's face. They will also be able to decide whether to play for the Inquisition and specialize in firearms, or whether to play for the natives and learn to use their voodoo magic. GB: Tell us about the work you've done to expand the skill selection in Risen 2. Are there more non-combat skills this time around or any skills that are particularly pirate-y? Will any skills, attributes, or any of our previous deeds affect our dialogue options in the sequel? BP: We've made some big changes and additions to the skill system this time. For example, players can now visit instructors to learn a lot of different perks linked to their skills. The dirty tricks you can learn could be considered pretty "pirate-y". Aside from the thieving talents, there will also be other non-combat abilities, e.g. monkey trainer, silver-tongue, or intimidate. Of course, the latter skills will also be available as dialog options once the player has learned that particular talent. GB: Special combat maneuvers have been implemented in the sequel in order to expand our options during battle. What more can you tell us about these? How many combat maneuvers will there be, how will they be learned, and how will they be executed? BP: Special combat maneuvers can be learned from combat trainers. They give players more ways of combining punches and kicks, or parrying blows. How they are executed in a fight depends partly on whether you throw a punch or press the appropriate key at the right moment. GB: You've stated that we'll be the captain of our own ship in Risen 2, and that it will be a "central" part of the game. Can you break down how ship customization and travel will function? Will there be on-board combat scenarios and upgrade options to make the ship more powerful/faster? GB: How linear or non-linear would you say the game is Once we move to a new island, do we have the option to return to previous islands we've visited to make use of trainers, tackle side quests, and that sort of thing? BP: The world will be open, as usual, and as a rule it will be possible to return to places you have already visited later in order to trade, learn, or complete quests. In Risen 2, the world opens up more and more - while the player can only explore one island to begin with, once he/she has a ship, any location can be reached. GB: Firearms are an interesting new addition in Risen 2. What sort of challenges did you face in order to introduce firearms, and how difficult has it been to balance them so that they're not always the most powerful choice when making a weapon selection? BP: Two-handed firearms work a lot like a crossbow. Unlike arrows, they have a direct line of fire, and they are indeed very strong in a fight. However, they can be unwieldy in melee combat, and as voodoo and melee weapons are also powerful and there can be different options depending on the situation, the weapons are quite well-balanced. GB: How have you improved the companion system in the sequel? Will we have more control over our companions, particularly when it applies to their advancement options, equipment, and combat AI? BP: First of all, in most situations players can choose whether to take a companion along, and which companion. The companions make comments, sometimes get involved in conversations, and have different skills. One may be a healer, while another collects items for me, etc. At any time during the game, players can tell the companions they have in their crew to wait, return to the ship, or give them healing potions. GB: The protagonist's pet monkey is an important element in the game. Are there areas of the game that will require us to take control of the monkey? Beyond reaching otherwise inaccessible areas, what other function will the monkey serve? GB: Because Piranha Bytes is a smaller studio, we understand that you've contracted some of Risen 2's animations and other graphical assets out to third parties in order to elevate its overall presentation. What assets, in particular, have you contracted out to other companies and how challenging has it been to seamlessly integrate everything into the work you do in-house? BP: In order to have a wider selection, we outsourced the creation of items, for example. They were defined in detail in advance, artwork was applied, and when they were finished, they were added to the game continuously. Because we determine their size and appearance ourselves, planning is the challenge here. By now we can say that this decision was worthwhile! GB: The general consensus seems to be that the PC version of Risen provided a better game experience than the Xbox 360 port. What steps are you taking this time around to ensure that the console versions are on par with the PC version, and what roadblocks did you have to overcome in order to add a PlayStation 3 version to the mix? 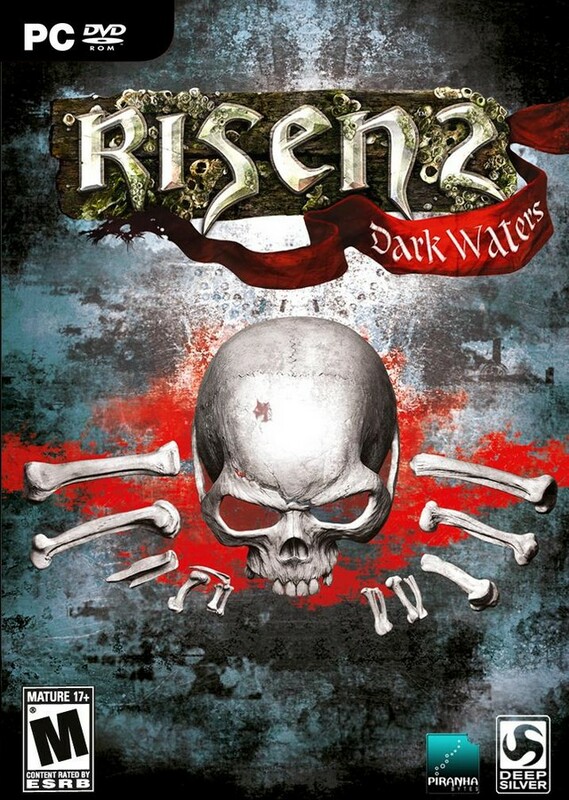 BP: For Risen 2, we are developing the game for PC but it the console versions are also very important to us. We took the necessities of console development into consideration from the beginning of the development, and the time planning was a lot more generous than before. Also, we now have experience in that area and we are therefore confident that this will be reflected in the quality of the product. GB: Was your decision not to develop any DLC or other expansion content for Risen based entirely on sales numbers? Would you consider creating add-ons for Risen 2 if its sales numbers meet your expectations, and if so, what sort of content would you like to include in potential DLC? BP: DLC is just as important to us in terms of development as an add-on. The decision whether we provide DLC, and on what scale, will be made together with our publisher Deep Silver. As we have already been successful with an add-on in the past, we are definitely planning DLC this time.